Are you thinking about selling your home? If so, one of the best ways to increase resale value is through landscaping. Homeowners enjoy landscaping as a less expensive way to beautify a property versus the hassle of renovations. Many landscaping projects can be completed rather quickly. Home renovations can take weeks, if not months, to fully complete. An expert from HGTV recommends investing 10% of the value of your home in landscaping. In this post, you will learn landscaping tips for selling your home faster. The first step you will want to tackle is having a project idea. Homeowners without an idea tend to end up with unorganized gardens. 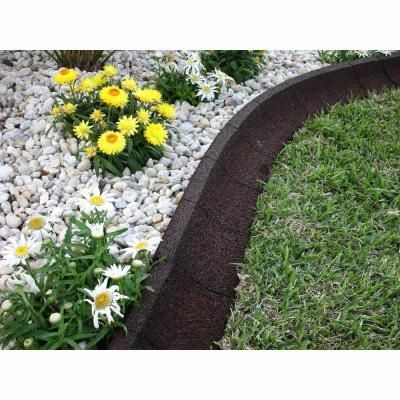 Landscaping will help beautify your property. However, haphazard gardening will create a look that might put off potential home buyers. You don’t need to go overboard, especially if you are a first-time gardener. It is best to start with a small area and branch out from there. Taking on too much at one time could leave you feeling dejected. You don’t want to be the homeowner that goes for quantity of quality when landscaping. Nothing will steer a buyer away faster than a yard full of dead or dying flowers. An unkempt lawn doesn’t help to paint a picture of what home is to a buyer. Removing dead plants from your yard is a must for increasing curb appeal. It’s understandable to feel a bit overwhelmed when surrounded by dying plants. Lancaster County Backyard can help bring a dying yard back to life again. An unkempt lawn will have plants growing over windows and near doors. If you plan on having a landscaped yard, ensure it will be well-maintained. The increase in the resale of your home is worth hiring outside help, if need be. It is important to have the right balance of color when landscaping. Many homeowners choose plants that match well with the color of their home. There are a seemingly endless amount of colors to choose from. You will want to have a lawn that is accented with color not overtaken by it. Having too many colors and flowers could overshadow the home itself. Potential home buyers don’t want to be burdened with too many plant varieties to tend to. In summary, there are several ways to boost the resale value of your home through landscaping. It is important that you have ideas together about your project. Landscaping with no plan could lead to green spaces that don’t work well together. You will need to set aside time to properly care for your plants. Almost nothing looks worse than a yard full of dead plants, especially when selling a home. It is wise to choose colors that accent your home. Mismatched colors are not going to be eye-catching. Following these tips will help ensure the retail value of your home increases. If you are not an experienced landscape designer, it is necessary to speak to some professional gardeners just before starting a landscaping project. As a destination garden center and landscape solutions business we seek to provide exceptional customer service and the highest quality plant material in the region. Exceptional landscape design software program provides 3D walkthroughs, plant libraries and rapid on the internet assistance. From planting a single tree to replanting your entire landscape, our landscape contractor services can bring your project by way of to completion. The Olive jars are just that – containers in which Olive Oil is kept but they do make such exciting focal points in a garden. All-in-all, due to the fact of the templates, lineweight settings and ease of drawing of curves, adding plant symbols, and doing takeoffs of square and linear footages, this application system Dynascape is a timesaver. The employees at Garden planet looks forward to operate with you and your esteemed organization. Being that it was spring when I caught the bug to construct my garden, it tends to be a small windy, so it was evident that my rock strategy was really not going to hold down my landscape fabric, but the mulch did the job and added a small visual interest to my empty garden region. Getting a house garden can present you with a superior provide of vegetables all year round. But considering the fact that it is so speedy to build a landscape and render the notion for the client instantaneously, its shortcoming here is balanced out by its quick landscape rendering to get the point across rapidly and beautifully, and its otherwise remarkable ease of use. Based upon the temperature, you can wait and water every little thing after you have planted all the plants or if it is a hot dry day you may want to water every plant as you plant it. Pull the landscape fabric more than the planting area as close to the plant stem as possible and use the mulch you moved to generate your hole to location about the region. Hall’s Window Center is providing away a door a day… including regular installation. The time spent in the garden is appreciated extra than when I have to water a pot plant. Locating the right landscaping application need to be enjoyable, and seeing the property of your dreams will be even improved. These tools will help you navigate the software and place your concepts into a concrete plan. Get your Property & Landscape Expo Passport stamped to acquire a complimentary ticket to an upcoming Sacramento River Cats game. As any gardener worth their weight will tell you patience is needed to create the great sustainable garden.